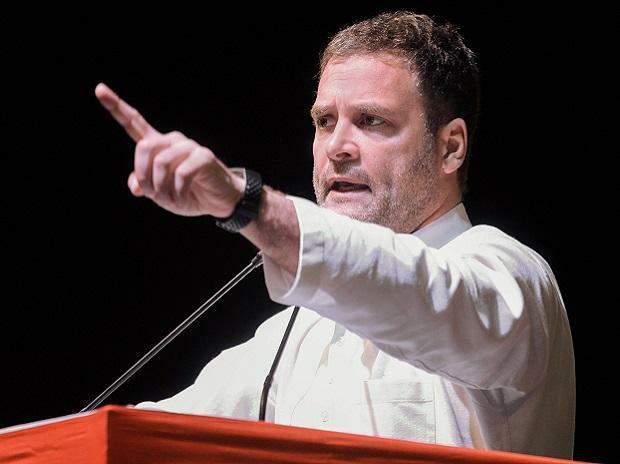 Congress President Rahul Gandhi on Thursday said the 'Nyay' scheme will remonetise what Prime Minister Narendra Modi demonetised and asserted that his party's anti-poverty programme has thrown the BJP into total disarray In an exclusive interview to PTI ahead of the 17th general election beginning April 11, Gandhi said the 'Nyay' scheme has the twin objectives of giving money to the 20 per cent poorest families in India and remonetising the economy "damaged" by demonetisation. "What the PM has done over the past five years is to remove all money from the economy with failed policies like demonetisation and a poorly executed Gabbar Singh Tax (GST). Informal sectors have been badly hit." "He has taken away from the farmers, he has snatched from the small and medium businesses, he's taken away from the unemployed youth, he has extinguished the savings of mothers and sisters of this country. We want to return to India's deprived sections what Modiji has snatched from them,” Gandhi said. Asked about apprehensions of some economists that 'Nyay', which entails an expenditure of Rs 3.6 lakh crore annually, could aggravate India's fiscal deficit position, Gandhi said, "No, that's not right." He said the party consulted a large number of economists and experts, studied numerous papers and other research material on this subject and run an extensive financial modelling exercise before deciding to include the plan in its Lok Sabha manifesto. To a question on the scheme being prima facie populist, Gandhi said, "it is not a populist measure as projected by some critics". Taking a swipe at Modi, who announced the demonetisation of high-value currency notes in a surprise move in November 2016, Gandhi said, "We're not rash. We don't take steps like demonetisation and GST without consultations, without conferring with the experts. We have vetted this, tested this, and fiscally 'Nyay' as a scheme is completely doable." The Congress president did not give a timeline on when the party planned to make India poverty free and said 'Nyay' will first be tested through a pilot to "smoothen out any flaws".